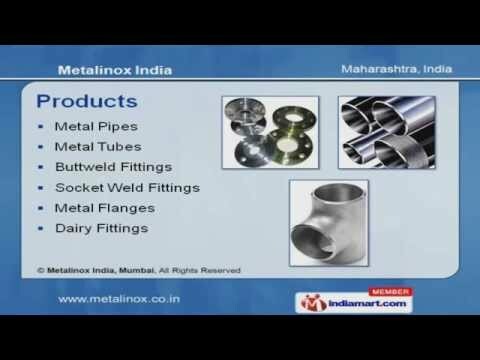 Welcome to Metalinox India, Manufacturer and Exporter of Ferrous Metal and Non Ferrous Metal Products. We are an ISO 9001 certified company, established in the year 2002. Our Strict quality standards and World-class sourcing facilities help us to serve Clients across the globe. Spacious warehouse, Wide distribution network and defect free packaging are some of the key factors behind our success. We offer a wide assortment of Metal Pipes, Buttweld Fittings and Metal Flanges. Metal Pipes offered by us are well known for their durability. Metal Tubes are available with us at cost effective prices. Our Buttweld Fittings are one of the best in the market. Our Socket Weld Fittings are in huge demand across the global markets. Our company specializes in offering Metal Flanges that are a class apart.